The Obama administration says it will “make the case” at the UN for Israeli-PA talks when Abbas bids for recognition of the PA. The Obama administration says it will “make the case” at the United Nations for Israeli-Palestinian Authority (PA) talks when PA Chairman Mahmoud Abbas bids for recognition of the Palestinian Authority, U.S. State Department spokesman Olivia Nuland told reporters Monday. Asked if the United States is “trying to dissuade” Abbas from making another appeal to circumvent direct talk and win recognition of his demands from the United Nations, Nuland replied, “We are obviously in touch with President Abbas." The United States last year said it would cast a veto if Abbas were able to win the necessary two-thirds majority in the United Nations Security Council for a motion of recognition, which would then have gone to the General Assembly, where he has a guaranteed majority. There is no right of veto in the General Assembly. 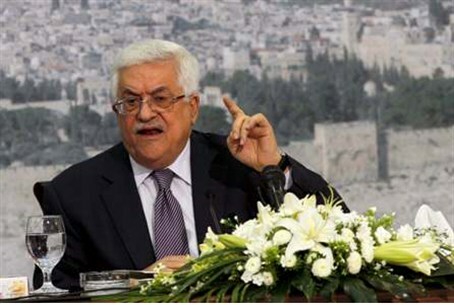 Abbas realized he was one vote short of the necessary majority in the Security Council and dropped his bid. This time around, he probably will go directly to the General Assembly for recognition for Non-Member Observer status, less than that of a full member but enough to raise the PA's image as well as that of Abbas, who is hanging on to office two years after new elections were supposed to be held. Nuland did not categorically state that the United States would vote against a bid for Palestinian Authority statehood, but it presumably would do so given that U.S. elections are only less than two months away and the Jewish vote could be critical in “swing state” such as Florida. On another question, Nuland insisted that the moribund “peace process" still exists, despite a claim by former United Nations Secretary General Kofi Annan in his new book that it basically does not exist. Israel has lifted a land blockade, except for materials such as explosives that can be directly used for terror, but maintains a maritime blockade to prevent terrorists and weapons from reaching Hamas-controlled Gaza by sea.